Calandrinia grandiflora abundantly colorful. The bright magenta flowers bloom from mid-Spring through much of the Summer and into the Fall, particularly if the flower stalks are periodically removed as they start to age. The gray succulent foliage of Calandrinia grandiflora grow 12-18" tall and will slowly spread to 3 feet or more wide. Calandrinia grandiflora grows well in full sun and will tolerate a moderate amount of shade and still bloom. 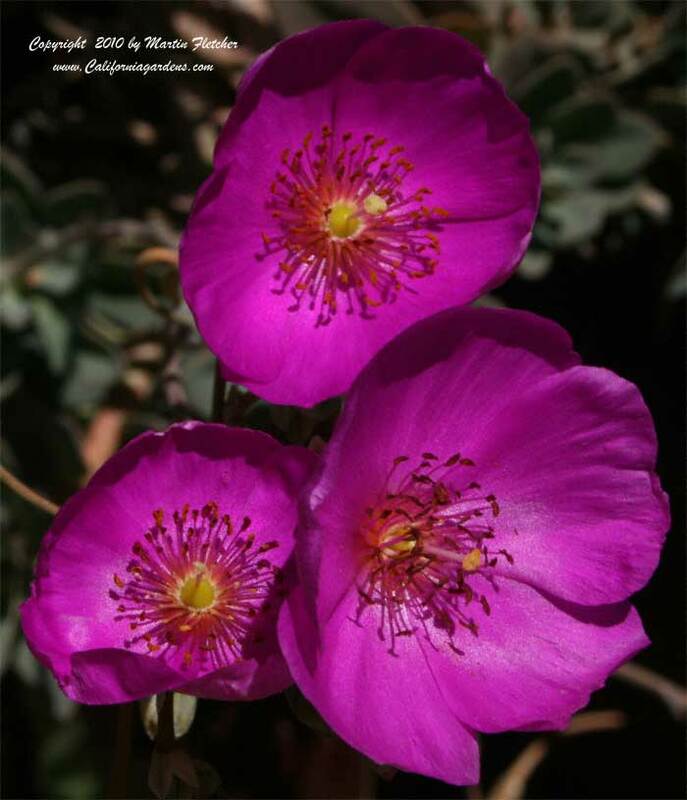 The Rock Purslane is quite drought tolerant once established and is relatively hardy as succulents go, withstanding Winter nights down into the low teens. Flowers and foliage of Calandrinia grandiflora Rock Purslane. High resolution photos are part of our garden image collection.